PGD’s CEO James W. Parish, P.E. 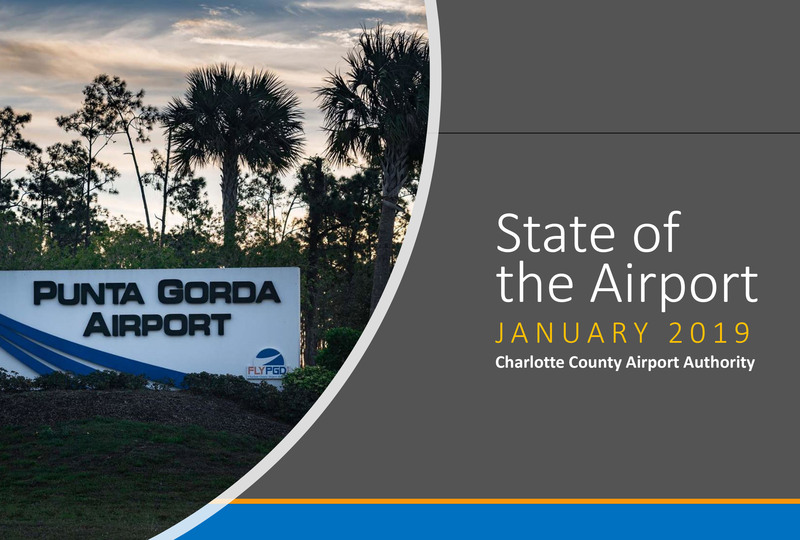 delivered his “State of the Airport” presentation at the Charlotte County Airport Authority Board Meeting on Jan. 17, 2019. Click here to view a pdf of the presentation.